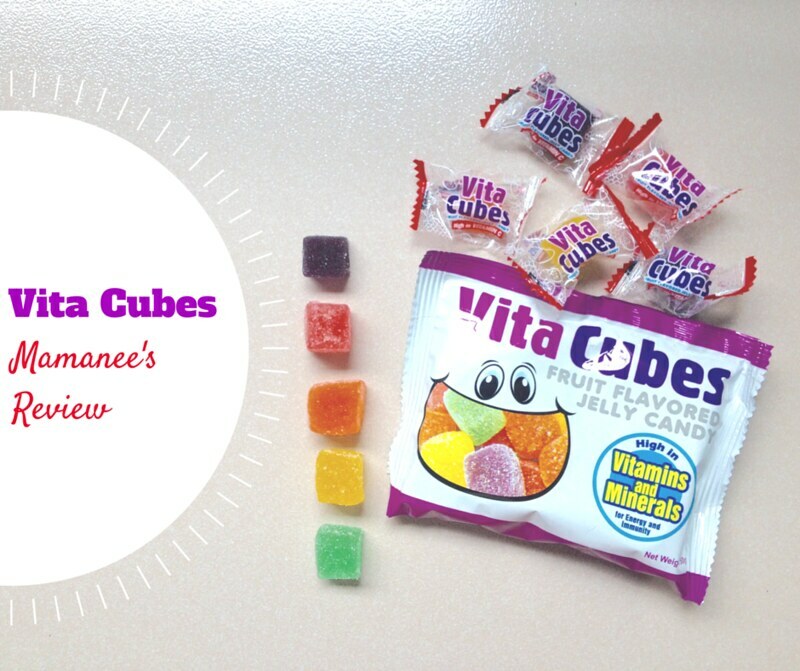 Review| Vita Cubes: Candies with a Healthy Twist! The princess and I got invited to the Vita Cubes Funday Event last Sunday and we were in a for a fun treat. Vita Cubes gave us the opportunity to try out their product and share with you our thoughts. I have been seeing Vita Cubes in Mercury Drug Store as well as in Mini-Stop but of course as a mother my skepticism kicked in and I didn't try and indulge. So this opportunity was worthwhile since I have always wanted to try Vita Cubes out. Of course the best testers would be my awesome team of my princess and the bossing. 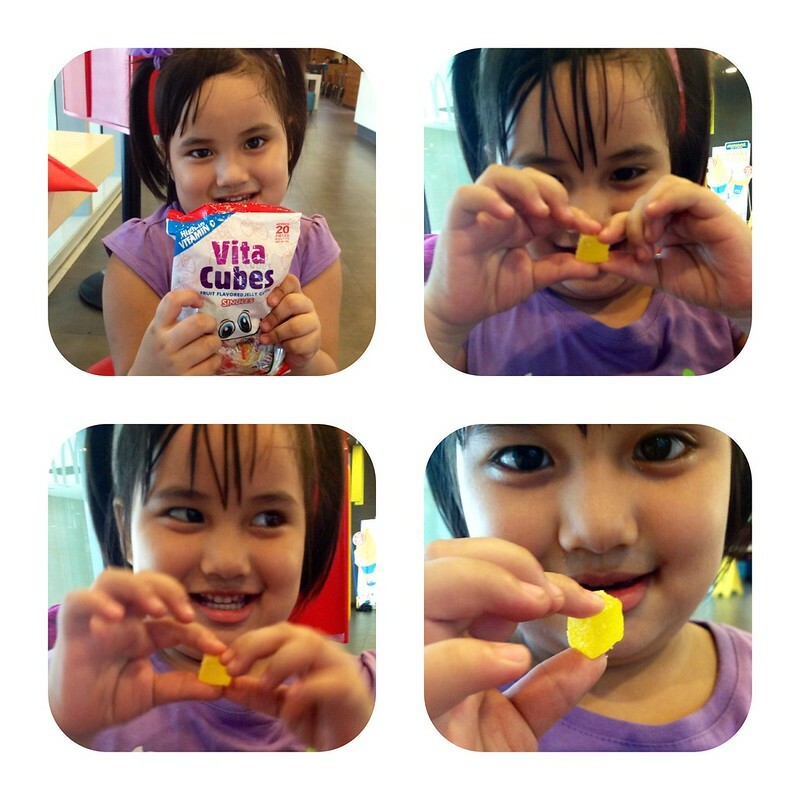 princess being happy with mango flavored Vita Cubes. 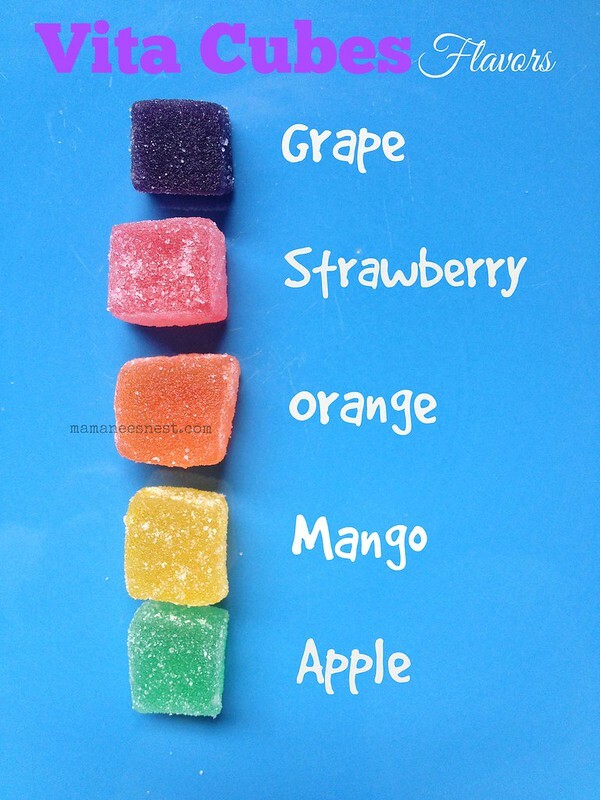 So what's in Vita Cubes that makes it a healthy candy choice? Lysine - Vita Cubes has 70% of the child RENI (Recommended Energy and Nutrient Intake). This aids the body in proper growth and energy production. Helps also in calcium absorption. Zinc - 70% of the child RENI. Helps in proper functioning of the immune and digestive system, energy metabolism and in increasing the rate for healing wounds. Vitamin A - 40% of the child RENI. Increases the body immune system to fight infection and also plays a vital role in ensuring healthy eyes and bone development. Vitamin B - 30-70% of the child RENI. Promotes growth, strength and stimulates memory in children in the formative years. It also helps boost oxygen circulation in the body, focusing on the brain to help with concentration and also assists in converting carbohydrates and fats into energy. Vitamin C - 30% of the child RENI. Helps form and repair red blood cells, bones and tissues, which is vital for your child's healing, boosting their immune system and fighting infections. Vitamin E - 45% of child RENI. Boosts the immune system to fight germs and helps the body to work together to function regularly. which retails for a suggested retail price of 12PHP. Vita Cubes also comes in singles at 1PHP each. Now the question is how did it fair? Packaging - Simple, clean design. Sealed tight but definitely easy to open. No crying kids when they want it open. Smell - Totally fruity and pleasant , doesn't give off a medicine type of smell. Taste - they were definitely fruity and obviously my kids loved them since I had to fight them off during the photo session with the product. I was able to taste the grape variant since it's a favorite fruit of mine and I liked the taste - sort of like you were drinking grape juice. Price - affordable and light on the pocket. at all Mercury Drug Store Outlets, SM Supermarkets, Robinson's Supermarkets, Waltermart, Landmark, Puregold, Mini Stop and local grocery stores. Too sweet - that's for me. I was good with one cube. The kids were hooked though and they were able to finish off two individual packs. I'd still like the sweetness lessened. 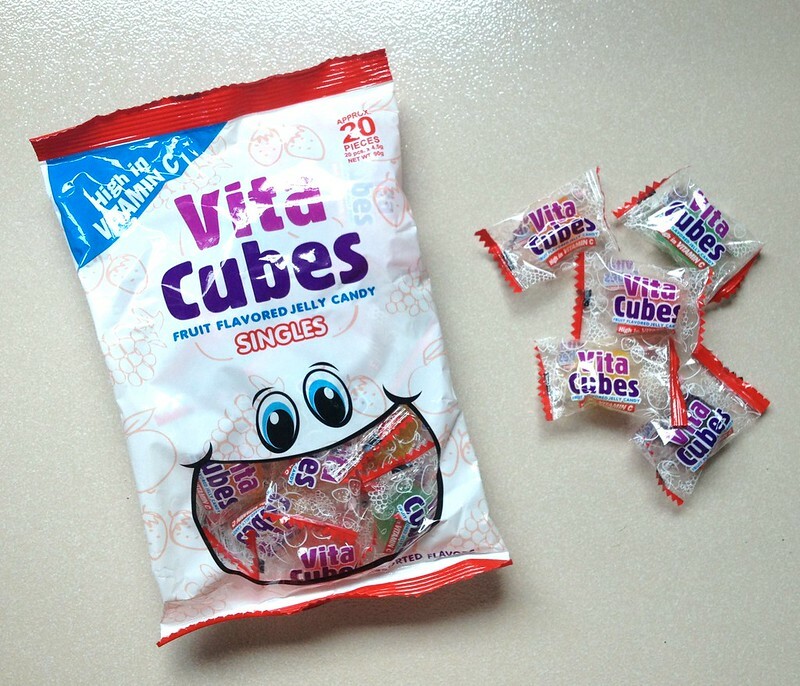 I really think that Vita Cubes has been taken for granted since not all kids like jelly but instead of giving them hard candy (including lollipops), which most usually do, you can have them sinfully snack on Vita Cubes yet you are still taking care of their health. Win-win right? 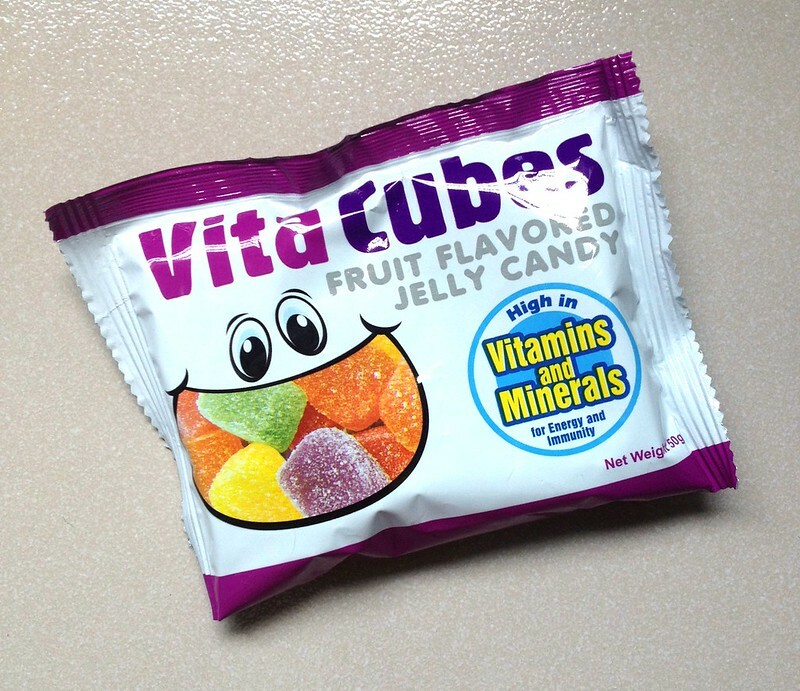 Looking at their press kit, their tag line: "Vita Cubes: Yummy has never been this healthy. Healthy has never been this yummy." surely stands as a fact. I agree with most of what you said, specially with the bit about the sweetness. I'm new here and glad to see that vita cubes are getting the hard to earn mommy seal of approval! I started searching for balanced and was even hoping to find scathing reviews on this product. Partly because I'm getting quite addicted to it and the guilt free nature of consuming something that's good for you is getting me paranoid. I guess its just the natural adverse response to the "this is too perfect" kinda vibe I get from VC. I hope more snacks follow its example. Thank you for your thoughts! I absolutely hope to that there will be more snacks like Vita Cubes, those unbranded imported sweets are driving me nuts!